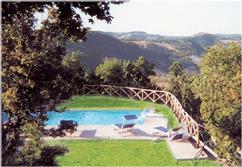 Civitella Farm Holiday is situated in a charming position, on a hilltop, 480 mt. on sea level where "wild" Umbria is still and real with unforgettable landscape. 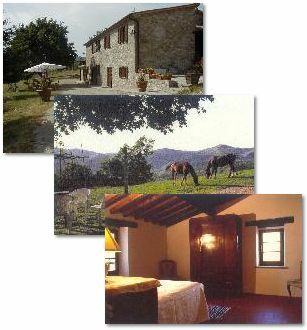 Civitella Farmhouse is ideal to anyone who wants to spend a relaxing vacation with family-like and rural accomodation. 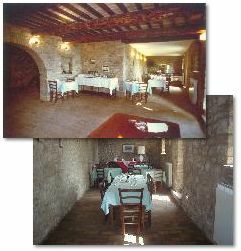 Civitella Farm Holiday is about 30 minutes drive for the main tourist centers of Gubbio, Assisi, Spoleto, Perugia. Those who prefer to stay on the farm can enjoy the countryside walking in the nearby woods, going horseriding along interesting trails, riding mountain-bikes, playing archery. You can easily reach Civitella Farm Holiday by car. It is situated 7 km. off E45: leaving motorway E45 at Montone - Pietralunga, follow the Pietralunga street sign and the Farm Holiday indications you find at every crossing.